Kirsty is a Speech and Languag Therapist happy to work with children with emotional and behavioural difficulties. 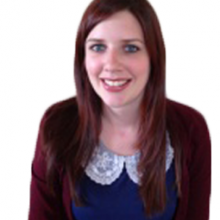 Kirsty joined the ITS team as a Speech and Language Therapist in 2013. She holds this post alongside working in a secondary school with children with emotional and behavioural difficulties. Kirsty is an experienced and passionate therapist whom is happy to work with a wide range of clinical groups on a 1:1 basis or within a group. Kirsty is experienced in working with children, adolescents and adults with a range of Speech, Language and Communication Needs. She is experienced in providing therapy for language delays, speech sound delays, oro motor skills difficulties and communication impairments. My family and I have found Kirsty to be a great addition to our child’s therapy team. Kirsty has helped us with signposting for further services and has been a great support beyond therapy. Kirsty has provided therapy within language units, Autism units, primary and secondary schools, hospital wards and within the community. She is happy to work with children, adolescents and adults. Kirsty can offer assessments, therapy plan devision and implementation alongside liaison with parents, teachers, families and professionals. How did you locate our services?